Are The State Schools Teaching Religion? 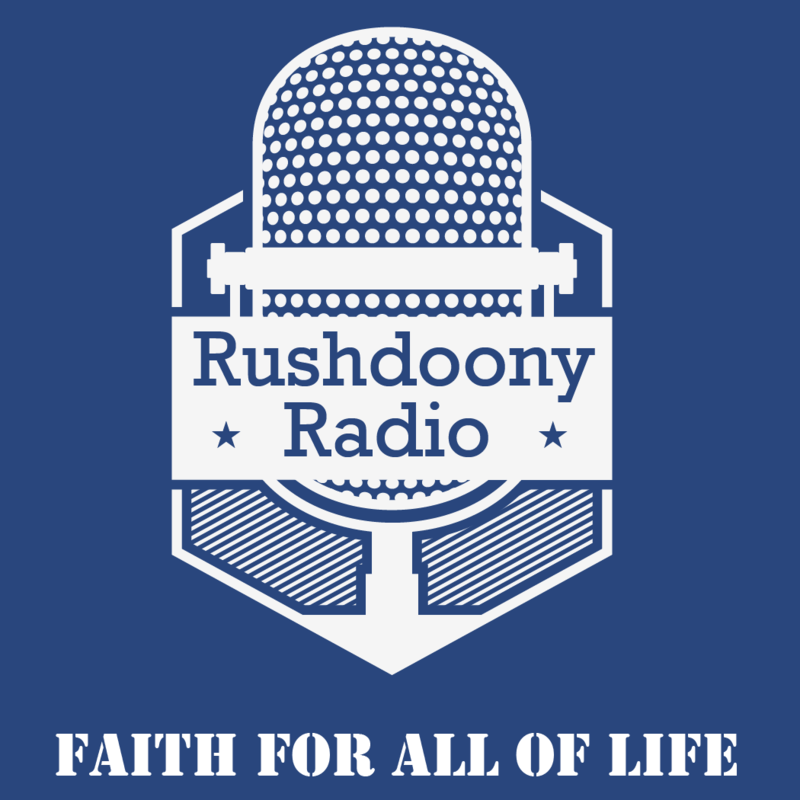 R.J. Rushdoony: 00:00 Are the state schools teaching religion? This is R.J. Rushdoony with a report on our threatened freedom. One of the things forbidden by the first amendment is an establishment of religion. That is tax funds going for the maintenance, support, or propagation of any one church group or religion or any groups of such churches. We see this principle being routinely violated today by the curriculum makers of public education or more accurately statist education. These curriculum makers routinely make humanism and humanistic values basic to their guidelines and texts. I have many such guidelines and textbooks that bore me, but let me cite one as an example. Donald A. Reed and Sidney B. Simon edited a textbook for teachers, The Humanistic Education Sourcebook. R.J. Rushdoony: 01:01 One chapter among others is on values and valuing, it is taken from a study of values and teachings by Louis E. Roth, Merrill Harmon and Sidney B. Simon. For them a value cannot be derived from God, it has to be the free choice of the individual from among many alternatives. Values are personal, not religious. Values are mainly a product of our experiences according to the authors, quote, “Not just a matter of good and evil,” unquote. Values come out of the flux of life, thus quite obviously not from God. We are told that parents should not tell children you shouldn’t do that or you shouldn’t be interested in things like that. Whatever comes out of a child’s experience is consistent with his life and therefor his values. We cannot ask the child to deny his life and values, say the authors, without asking him to be a hypocrite. Values are personal they say and respect for a person’s life means respect for his experiences and values. R.J. Rushdoony: 02:15 Given this standard of values we would have to say that Hitler, Stalin, and Jack the Ripper should have been respected. Some humanists would object that these men had social consequences with their values but we must point out that since people are persons what is personal is also social or interpersonal. The point is that a value system is totally religious. For humanism is a religion according to the Supreme Court and it is taught in our state schools all too commonly. This is a religion which is anti-biblical and contrary to the faith of most of us. On top of that it is an established religion, public funds go to teach and propagate humanism, it is taught as necessary. R.J. Rushdoony: 03:14 In Reed and Simon’s textbook one chapter is entitled Humanism: A Capstone of an Educated Person, in other words without humanism your education is incomplete and sadly defective. The bible and prayer have been banned from state schools but humanism and it’s value system is openly taught. The first amendment ban is only applied only to Christianity but definitely not to humanism. We have a privileged status according to this alien thought at the expense of the rest of us. If you protest this you are called a bigot. The day of newspeak and doublethink has come. This is R.J. Rushdoony with a report on our threatened freedoms.